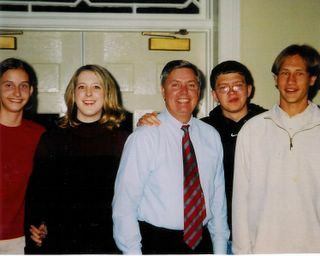 Myself and my friends Nelia, Jeremy and Austin (from left) with the Senior senator for South Carolina, Lindsey Graham. (He's in the middle. In case you couldn't guess). This was sometimes in the fall of 2002, when he was not yet elected.